I’ve got a couple of knitting and cross stitch posts in the pipe line but as they’ve not reached their intended destination you’ll have to wait! Last weekend tho, I got creative in a different way. (Keep it clean, smutty minds!). It’s highly likely that this is the only food post I’ll make this year, so excuse me for wandering off the craft reservation, just this once…. A couple of people at work had decided to do an Easter bake sale, the Tuesday we went back to work after the Easter holidays. Now, when it comes to the kitchen, I pretty much go in there to make a cup of tea and to clean it after my other half has turned it upside down cooking for us. Seriously, when we were living at opposite ends of the country for a year, I ate cereal for dinner as well as breakfast. And sometimes for lunch too….I’d honestly rather just go hungry than be bothered to cook. And frequently have. 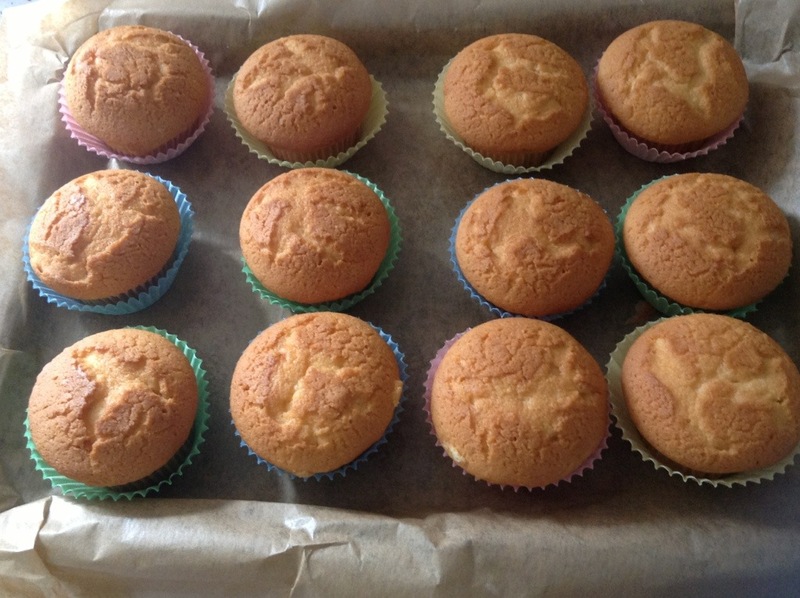 But baking. Now that’s a different story. Baking is definitely not cooking. And therefore I like doing that. My mum likes to bake and I have lots of her recipes, but nothing is ever quite as good as hers and even tho my shortbread is pretty fab, it’s still not a patch on my Granny Henry’s. it’s a sad fact of life I’ve just had to accept! 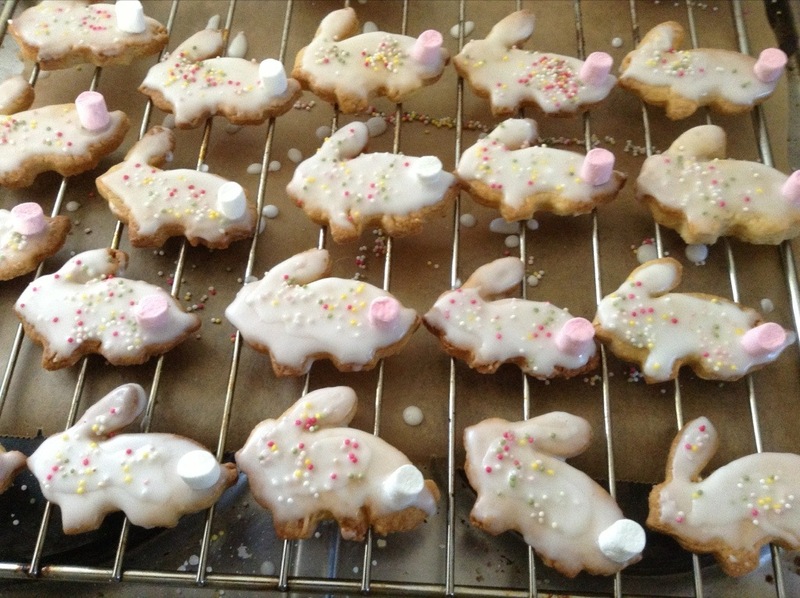 Because I’m known for being a bunny mad girl, it wasn’t a hard decision as to the biscuits…bunnies come with multi-coloured sprinkles and marshmallow tails. Who knew? For any UK people, I can tell you that Stork have brought out what may be my new favourite thing – liquid butter. It’s basically like melted butter without the grainy texture you sometimes get. It’s great for creaming (the frosting was super smooth thanks to it) or if, like me, you don’t have a food processor. I know – you’d think it was the dark ages, but Granny Bell’s Moulinex hand mixer circa 1960s is still going strong two generations later, so who am I to put it out to grass? So there it is. We made about £150 just from a few people’s effort for our work charity and there’s still some frosting in the fridge so excuse me while I go eat it and return to my normal crafty pursuits! 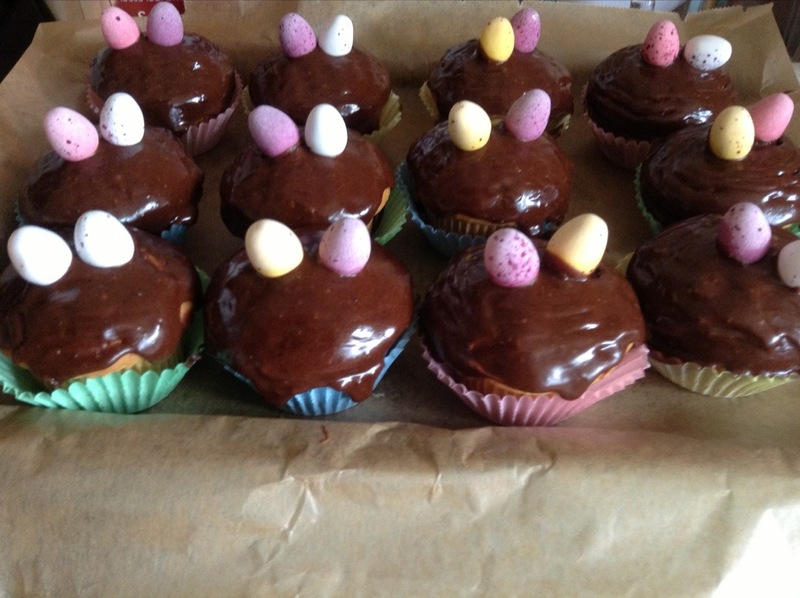 This entry was posted in baking, bunny and tagged baking, biscuits, bunny, fairy cakes.